How scary is it, really? Suppose you pass by a house and you hear a child screaming and a grown man yelling, repeatedly, “Why don’t you die?” Naturally, you call the cops. And naturally they come, hoping they’re on time to prevent a murder. Hello? Hello? Anybody home up there–up in the old cranium? 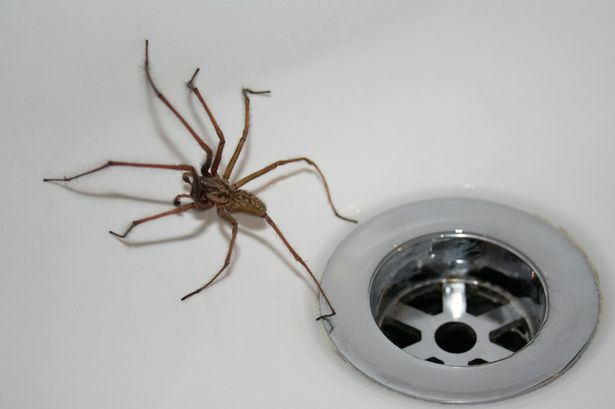 All right, Australia has some pretty nasty spiders, and apparently this guy had an uncontrollable fear of them. Somehow he wasn’t able to dispatch the spider right away: sounds like he was too scared to see straight, and probably kept missing when he went to clobber the spider. I’m pretty sure I would’ve screamed, when I was three years old, if I saw my father carry on like that. But of course he wouldn’t have–not for all the tea in China. Do you ever get the impression that there are all these little cracks in our culture, spreading out in all directions–like when a sheet of thin ice on a frozen pond is just about to give way under you? You’ve only just noticed, and you also notice that you’re two or three steps farther from the shore than you want to be, just now. It’s only a man panicking over a spider. No big deal. This entry was posted on Wednesday, January 2nd, 2019 at 3:34 pm	and tagged with coming unglued, crazy behavior, culture rot, fear of spiders, more and more craziness, our culture is thin ice, panic over trivia and posted in news, strange events. You can follow any responses to this entry through the RSS 2.0 feed. It’s a big deal in our house when a spider of any size makes an appearance – my wife let’s out a scream and I run to the rescue. Why are so many females afraid of insects? Our cat Buster liked nothing better than a nice big juicy spider as a snack. The spiders who came in here must have been crazy. It was really kind of, well, gross.